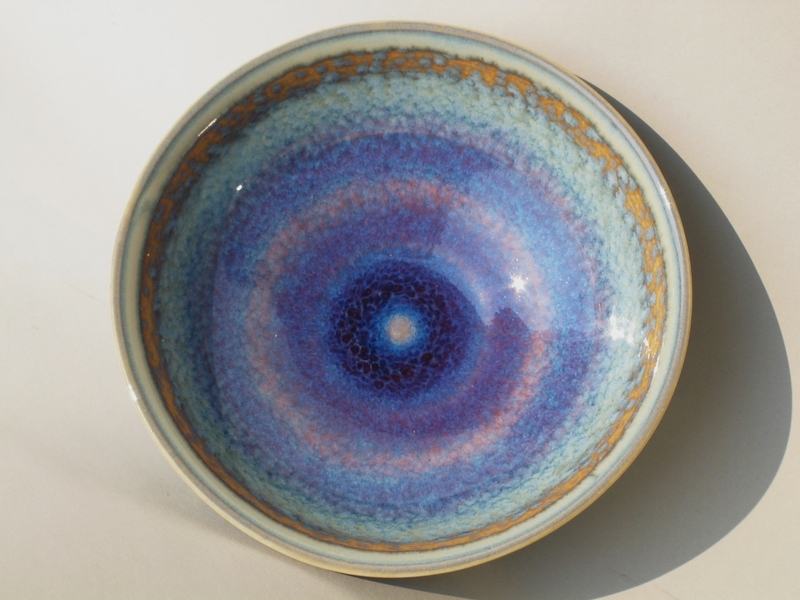 I regret that the photo in the article fails to do justice to the bowl in question. (Largely my fault.) Here is a slightly better one. You can find photos (including some items that were not in the article, as well as some technical information) by following the link I give below. I hope to have one or more articles out fairly soon about other work I’ve been doing, some of it with translucent porcelain. A “Red Temmoku” glaze that isn’t just orange or tomato or brick red; at its best, this glaze is a deep cherry/mahogany color. Some work I’ve been doing with Rutile Blue glazes, which culminated in the article for Studio Potter that I mention above. A wonderful little piece of serendipity that led me to a nice glaze. Information about my copy of the Black Ding glaze, to accompany the Studio Potter article I mention above. I’ll post more here as they become available or as I think of them. Email: a@b.com, where you can replace a with my first name (jon, only 3 letters, no “h”) and b with joss.